These examples were common at UC Berkeley prior to building the One IT community, now a thriving, engaged group of IT professionals across campus who work together to build innovative solutions to Berkeley’s IT challenges. But how did we get here? Well, it was a grassroots effort built from the ground up. multiple IT projects were being developed simultaneously that were similar in scope. Further discussions with IT leaders surfaced the source of these problems. As at most research universities, IT staff are highly distributed at Berkeley and many were working in “silos” – operating separately with resources and reporting lines that were not shared, and therefore individuals had little to no insight into the work their peers were doing. With limited opportunities for technical teams to meet and interact, IT staff didn’t even know each other, let alone collaborate. There were no real incentives or opportunities for collaboration or coordination between IT groups. 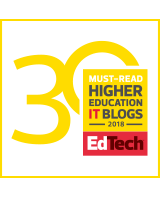 This state of affairs resulted in the uncoordinated provisioning of IT services to the campus, duplication of effort on similar IT projects, and a culture of “do it yourself” without considering a broader campus context. While central IT had experience implementing IT systems, the campus did not have a history of managing and building “human systems” at a campuswide scale. Out of this messy background, the idea to build a One IT community was born. The goal was to have a coordinated program of activities to help build IT community, allowing IT partners at all levels across campus to engage with one another, and ultimately improve IT services coordination for the benefit of all campus customers. Conrad made a commitment and dedicated resources to launching the One IT initiative. Since then, his Office of the CIO has sponsored 19 events, including the annual IT Summit, an opportunity for IT staff and teams to network, share their work, learn about new technology, and engage with IT leadership across campus. Presenting at the summit is a great opportunity for teams to share their accomplishments with peers. It also can be a precursor for presenting to bigger audiences, such as the annual UCTech (formerly known as UCCSC) or EDUCAUSE conferences. By design, the One IT initiative is collaborative. The development and execution of One IT events and other programming is done collectively by IT professionals from departments across campus. Committee members have rotated through the years to take on additional responsibilities above and beyond their usual workload. The primary lesson is that Berkeley couldn’t solve its IT problems without developing its IT people and community. What started with a few years of hosting events and offering professional development opportunities has become a genuine campus IT community – people engaged in working together toward solutions to Berkeley’s IT challenges. This community, a team of more than 850 IT professionals, was integral in building the Reimagining IT Strategic Plan – also from the ground up. The plan specifically focuses on connecting units with common interests to collaborate on solutions. One IT includes central campus and academic and administrative staff – anyone who works in an IT unit or has a technical role. Their ongoing participation brings different voices and innovative ideas to help improve service delivery to customers, prioritize IT projects using the strategic plan framework, and nurture the One IT community. Their daily work supports many of the tactics that help move the strategic plan forward to accomplish IT’s goals in support of the UC mission. In addition to holding events and building a strategic plan, the One IT community has also played a role in developing an IT Service Management framework, a process-based IT management framework intended to align the delivery of IT services with the needs of customers. The idea is to shift from managing IT as stacks of individual components to focusing on the delivery of end-to-end services using best-practice process models. The existence of One IT also enabled implementation of a centralized IT help contact for customers, IT service catalog, a new streamlined knowledgebase, a dynamic system status dashboard, and more. All of these efforts build greater understanding about the community – our internal IT group, the services we offer, how individuals relate to each other, and how One IT relates to the greater campus community. The community-building behind One IT of course is critical for promoting an inclusive culture, something that is a high priority for the CIO and across Berkeley. In fact, the theme of our IT Summit in June 2019 is Diversity and Inclusion for One IT. By building a community of practice and enabling collaboration across the campus, the One IT movement has both increased efficiency in operations and nurtured relationships across campus. Our aim is to continue the momentum with creativity, productivity, and innovation – all things a diverse workforce brings. 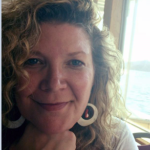 Rita Rosenthal is communications and outreach manager for the Office of the CIO, UC Berkeley. Thanks for all you do for One IT, Rita!